I checked into Hostería Izhcayluma and another traveler greeted me with “Hi, how long are you staying?” “Just two nights”, I said. She replied, “Oh, good luck with that, you’ll be here longer, this place is magical.” I ended up staying almost 2 weeks. In the parking lot I noticed Ben Hurst’s Volkswagen van. I knew he was heading to Vilcabamba from Cuenca but wasn’t sure if I’d meet up with him again. I also ran into Brian DeBono in the bunk room, I’d met him back in Cuenca with Ben. Sometimes moving into a new hostel is a little daunting because you need to make all new friends, so it was nice to see some familiar faces. Later that evening at the hostel I ran into Michel, a Canadian guy I had dinner with a few weeks ago in the Amazon. Traveling in South America is similar to the Appalachian Trail, you may not stick with someone for long but at some point along the “gringo trail” you’re sure to see them again. 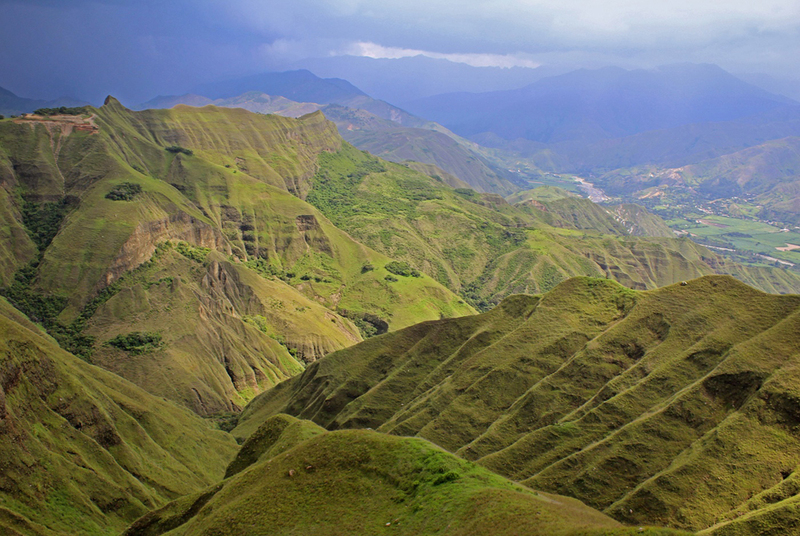 The valley of Vilcabamba was used as an Incan Royalty retreat and was known as “Playground of the Inca”. More recently it has been called the “Valley of Longevity” because of the numerous residents who live beyond 100 years old. Today it’s mostly a hippie expat mecca with cafes, bars, and transient gringos strolling around the old town square in tie dyed dresses and dreadlocks. 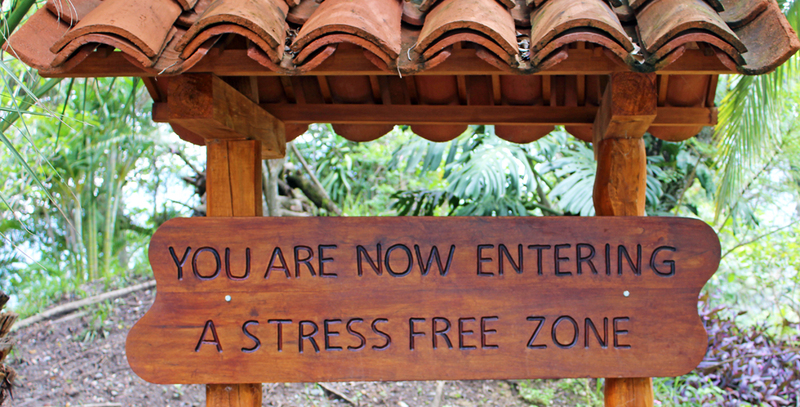 My first night in Vilcabamba I joined a few friends for pizza and beer. 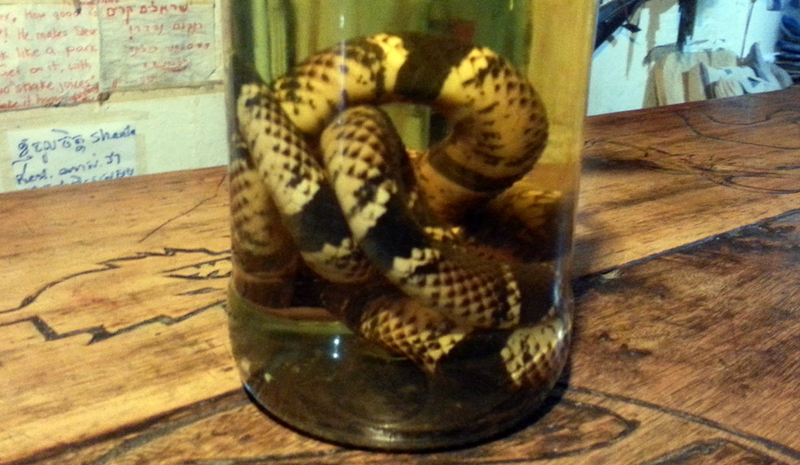 After dinner we decided to take a round of snake shots, or a shot of liquor that has been fermenting in a bottle along with a dead snake. The owner of the bar said he killed the snake himself. It wasn’t tasty, but it did the trick! 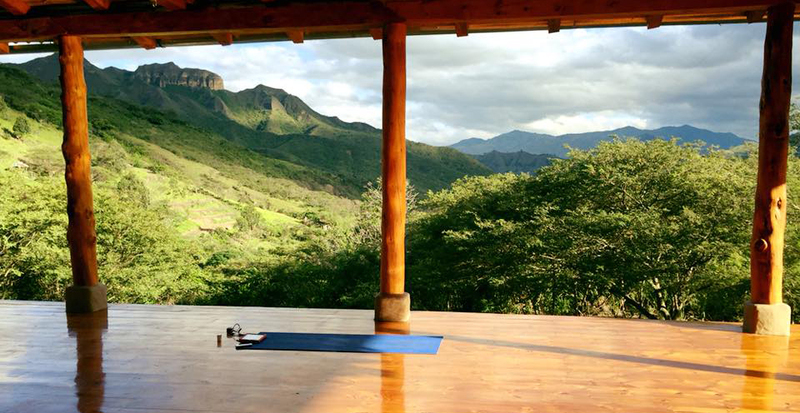 The hostel offered free yoga each morning for residents and on the days that my head wasn’t still spinning I made my way to the Yoga Shala to partake. One evening Ben and I were at the bar with the yoga instructor and we challenged Eva to use a new yoga pose that we created. The next morning at 8 AM I settled into my mat for a zen yoga session only to nearly fall off laughing when she did the “Flaming Lizard” pose that we had invented the previous night. 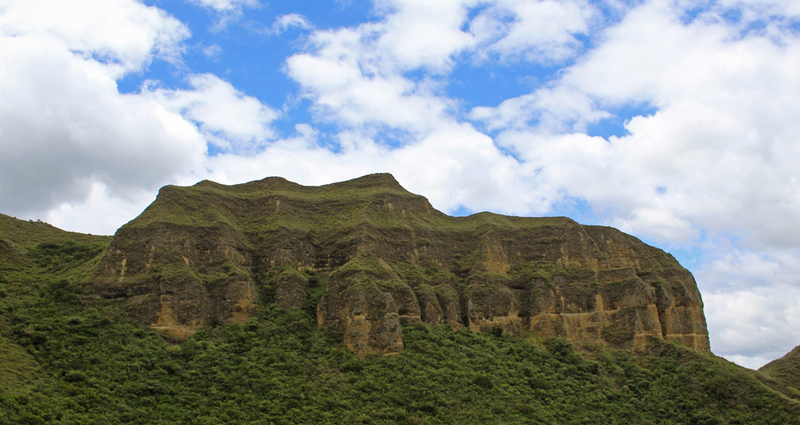 On a sunny afternoon a group of us hired a local guide and hiked across Mandango Mountain, the Sleeping Inca. 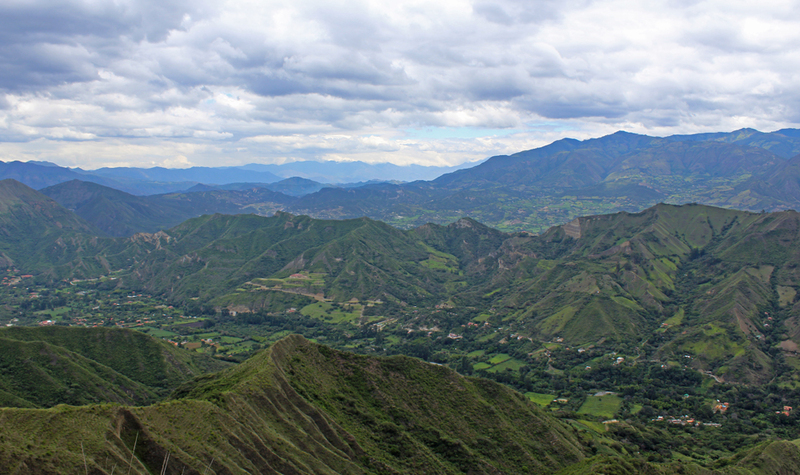 The views from high above Vilcabamba were incredible. On the way back down four of us were moving faster than the rest of the group and the guide stayed behind with them. We eventually got lost, tried to backtrack, heard the guide calling for us from below, and took a side trail to reunite with the group. The trail instead wound back through the next canyon and then disappeared altogether. We spent the next hour bushwhacking our way back to the road, passing through an old cemetery with an empty casket, and reaching the road to return to the hostel for cold beers. I had planned to leave before the weekend so I could vagabond through Northern Peru, but the group talked me into staying for Brian’s birthday party on Saturday night. We ordered a cake, hung decorations around the bar, and had a bonfire. It was a fun night celebrating Brian’s 30th birthday with new friends from around the world. 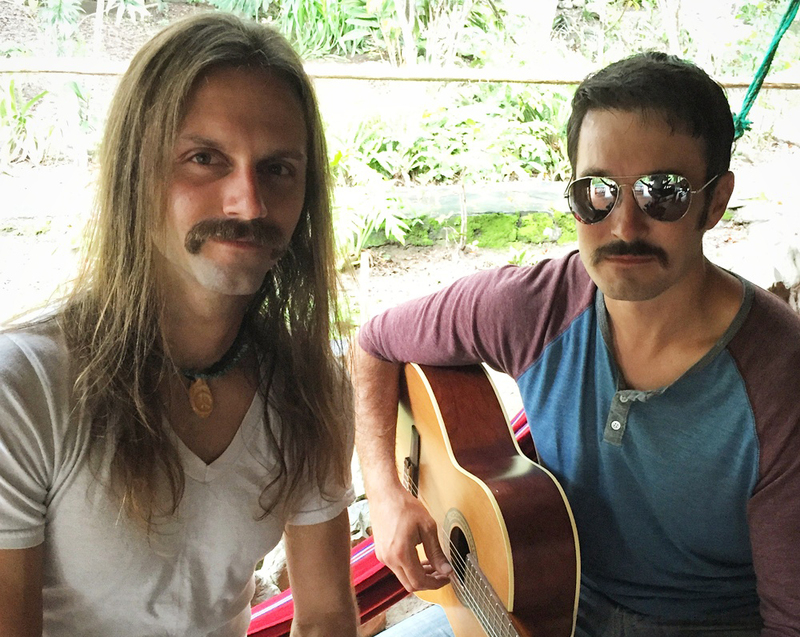 Ben and I wanted to make his birthday extra special so we shaved our beards into some pretty epic mustaches. 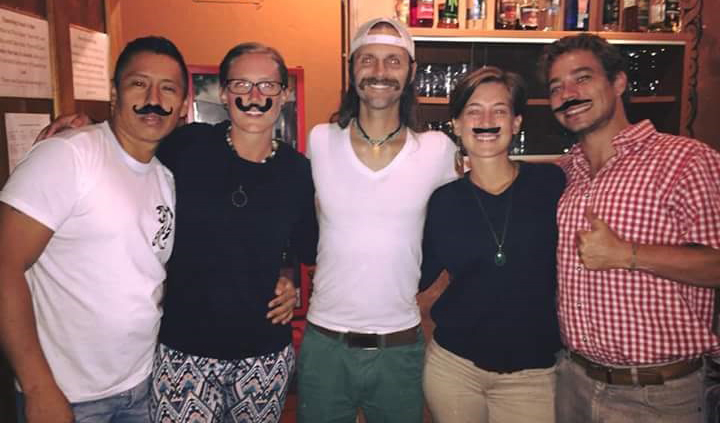 Everyone else jumped on board by matching us with fake mustaches. I wanted to do another hike before leaving the valley so I joined Brian and Kate for the Izhcayluma loop. They took off around noon and I followed an hour later after doing some work and publishing my “Read This When I Die” blog post. When I caught up with them we were traversing an exposed ridge above the valley while thunderstorms drifted closer. We decided to hightail it off the mountain and ran for lower elevations. At one point I thought back to the blog I’d just posted and realized it would be a little ironic to publish “Read This When I Die”, and then die a few hours later…cue the Alanis Morissette track. The rest of my time was split between working from my laptop while watching the rain, lounging in the pool, a few more yoga classes, listening to musical jam sessions, drinking plenty of beer, and some good old fashioned R&R. After 12 days of relaxing, partying, and recovering, it was time to go. Ben and Brian were heading to Northern Peru, so I packed my bag and jumped in the back of the van. It felt like home riding in a Vanagon and I was excited to road trip with the guys for a few days before making my way to Lima. 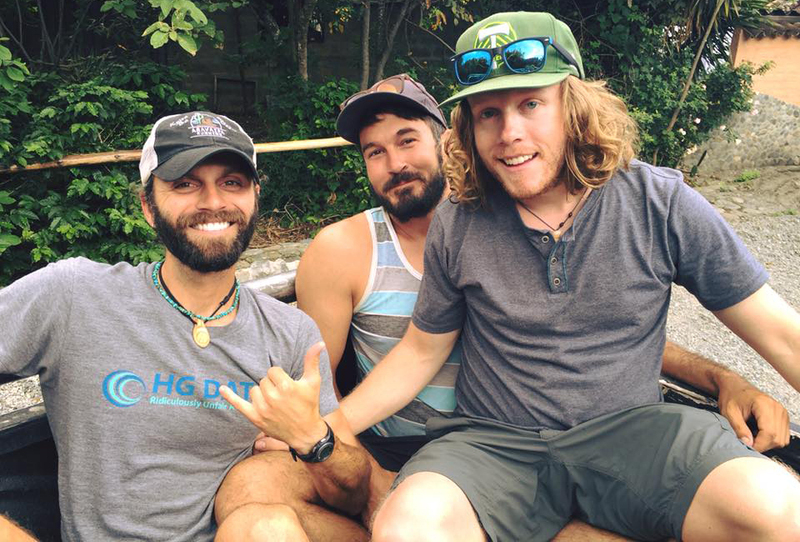 Pingback:Mustash Brigade After Manadango Trail Trot – William Kemsley Jr.